Make sure you are in Business Mode. Select the Promotions tab in the main menu. 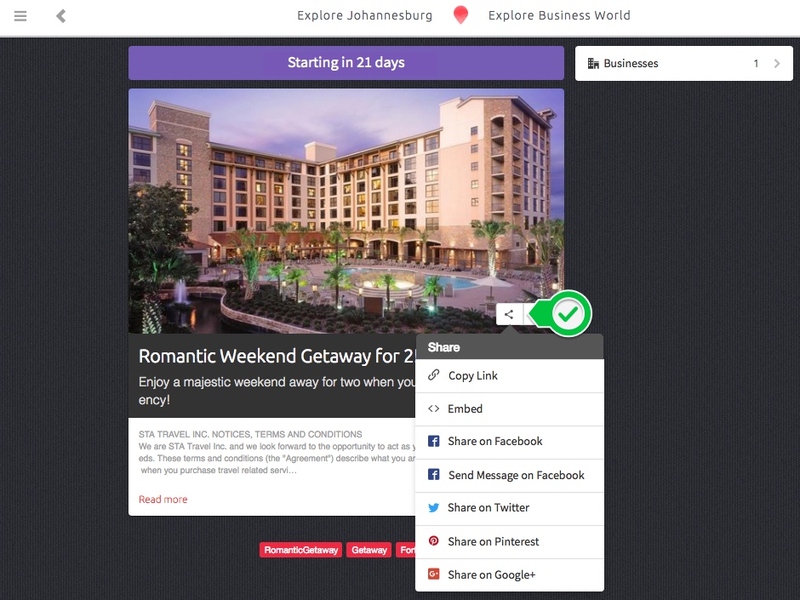 Select the promotion you would like to share or embed. Select the Share icon. 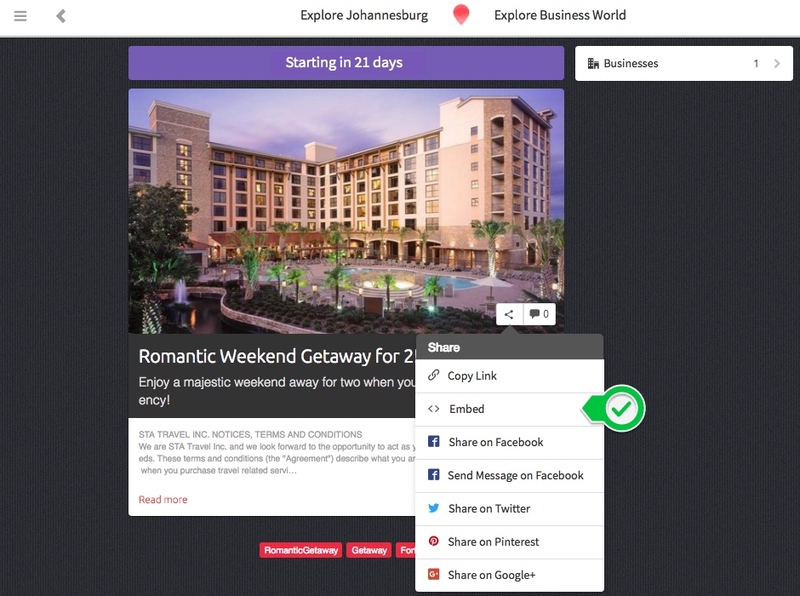 Options such as Copying the link, embedding the promotion and sharing it onto social networks will drop down. Share your promotion on your favourite social networks. Choose what size you’d like your promotion to appear in, continue customising your promotion with options such as: if you would like rounded corners and Details on Hover. 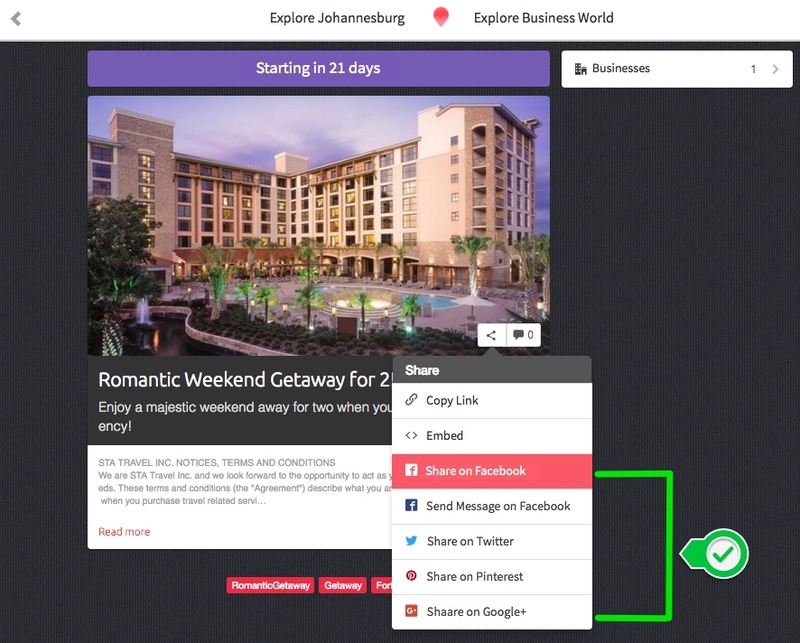 Once you are done customising your promotion, copy the code and paste it into your website where you would like for the widget to appear and select the Close button.